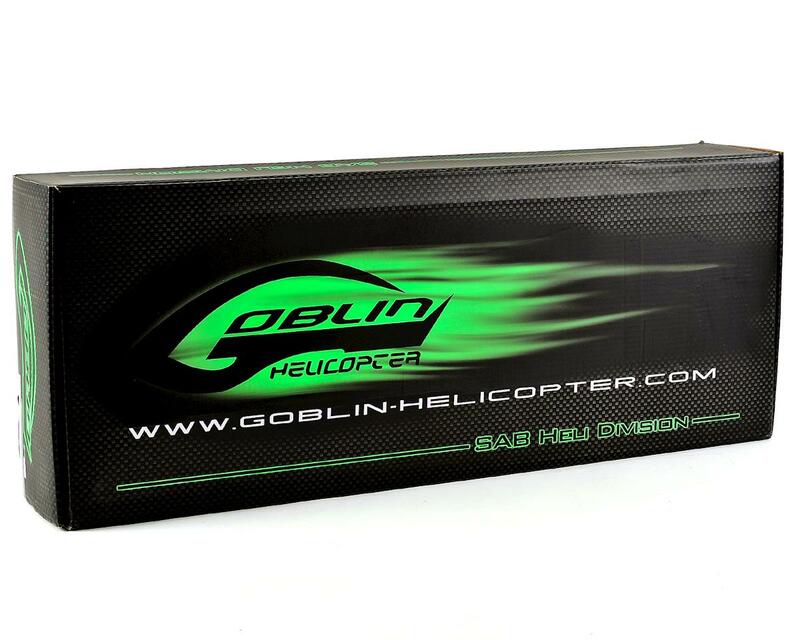 The Goblin Black Thunder "T Line" features improved construction on critical components such as the "T Line" Main Blades, Main Frames, Canopy, & Boom. While these features may seem miniscule to some, the performance increase offered is what continues to ensure the Black Thunder is unique within it's class, and offer a wide variety of set ups to suit every pilots needs. 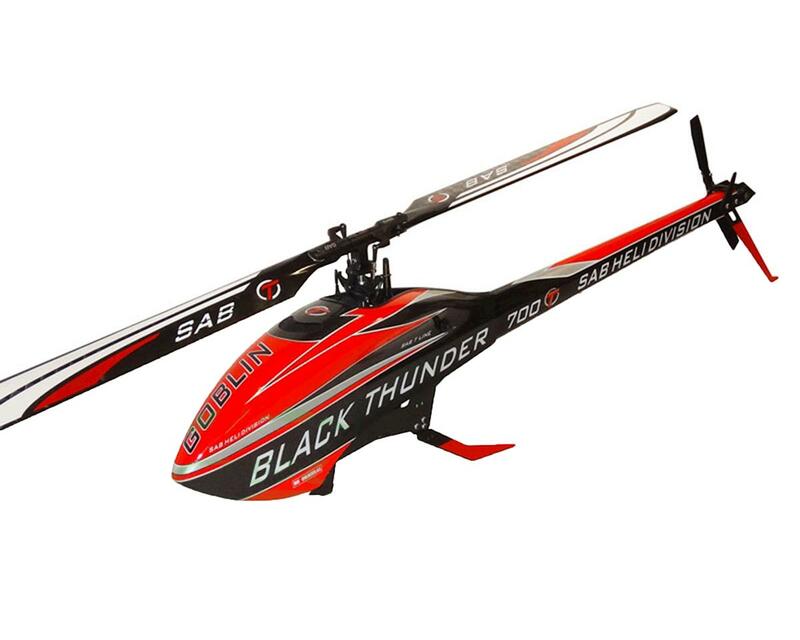 The Black Thunder "T Line" now is able to be built at under 5.3 pounds airframe, offering improved flight dynamics thanks to the lower overall mass of the helicopter. Lastly, the high visibility Red & Black graphic scheme will set your model apart from it's background, offering unparalleled visual aid in flight, and building confidence within the pilot with each and every flight. Patented Carbon Fiber Tail Boom – Strong, Light & Vibration Free: Reinforced with CNC aluminum for the utmost in strength, the patented carbon fiber tail system eliminates vibrations, allowing maximum rotor speeds to be achieved without the fear of vibration.